Home » Sports » wwe » The Rock Returns…. The ROCK (Dwayne Johnson) is all set to return to WWE. So, Do you smell what the rock is cookin’?? 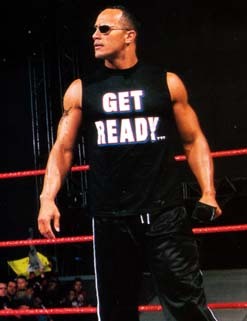 The Brahma Bull, Dwayne “The Rock” Johnson will `bring it’ to WrestleMania XXVII. WWE has announced Monday night that The Great One will return home to be The World’s Most Electrifying Host of WrestleMania on Sunday, April 3 at the Georgia Dome in Atlanta. “I’m absolutely thrilled and fired up to be the host of WrestleMania. My goal was to partner up with Vince McMahon and WWE to create and deliver something globally entertaining and electrifying,” Johnson said.